That’s right, you can pay $1,200 for a movie ticket for a film that’s not out until December, though you do get a digital copy of the film script and a limited-edition Spanish replica crossbow with it. There’s no main Assassin’s Creed game this year, but just look at all the goodness on the horizon in our list of upcoming PC games. The offer is only available in the US as part of deal between Ubisoft and website Kernel. For $600, you can get another ticket that comes with an officially-licensed statue of Fassbender’s Assassin character, Aguilar. There are other tiers, too: a ticket and a hoodie for $120; a ticket and a hidden blade for $60; a t-shirt and a ticket for $25; or $15 for a collector’s watch and some temporary tattoos. Yes, Ubisoft have somehow managed to bring tiered, retailer exclusive pre-order bonuses to the movies. Yay? What else can the games giant bring to the movie industry? 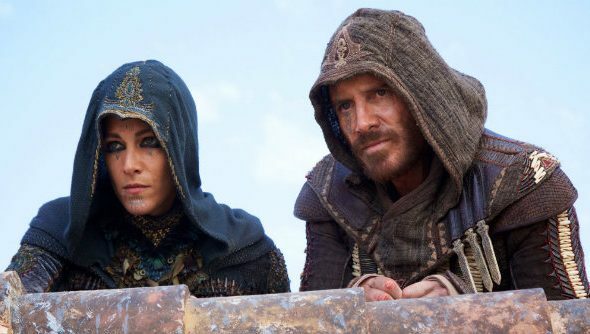 We already know there’s an Assassin’s Creed film sequel in development, despite the fact the first one isn’t out for over half a year.